If you cannot stand the side effects of the more common sleep apnea treatments, sleep apnea surgery is also an option you might take. However, before you go ahead and opt for surgery, there are a number of things you have to know about surgery. There are various types of surgery that are performed to relive you of the sleeping disorder. Ordinarily, they are only done if there is no other option. 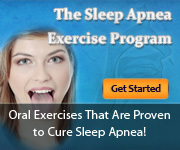 Nevertheless, some people would rather go for sleep apnea surgery options to avoid the use of conventional treatments. On an average, the success rate of sleep apnea surgery is at 66.4%. This means it is highly possible that the surgery will not be a success. In addition, you do not have the option of choosing a certain type of surgery. It is a case to case basis. Before deciding on getting sleep apnea surgery, please consider the factors mentioned above. You might end up bleeding, in excruciating pain, and spending thousands of dollars on surgery that will not successfully treat your sleeping disorder.